Quercus ilex sensu lato plays an important role in Western Mediterranean ecosystems, but is poorly developed in the Eastern Mediterranean where it is often replaced by Quercus calliprinos. The occurrence of Quercus ilex in the different bioclimates and their thermic subdivisions is presented on a small scale. Under certain geographical and ecological conditions, Quercus ilex participates in the organization of vegetation ecosystems from the meso-Mediterranean to the oro-Mediterranean altitudinal zones. 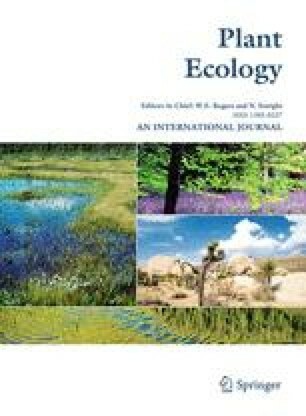 Quercus ilex imposes microclimatic constraints on its associated species; it thus organizes and original understory vegetation structure (ethological groups) which will be defined in this study. One of the reasons for the success of Quercus ilex stems from its remarkable resistance to ecological constraints. A broad synthetic presentation of foliar area index variations in relation to different types of stress serve as a basis for an explanation of the sclerophyllous model in the Mediterranean region. Finally, historical factors are outlined as being critical characteristics in the determination of the present organization and spatial structure of Quercus ilex ecosystems. These considerations will be analyzed from a paleobioclimatical point of view, including data related to human pressure.